When it comes to US cities in dire financial straits, one stands out: the one that has the nation's leading murder rate, dreary lake-effect weather, endemic corruption and financial mismanagement. It is also the city that experienced the highest daily population exodus in the US (following by and New York and Los Angeles), losing 156 residents a day (strictly due to migration, not murder in case there is confusion) a day in 2017. We are talking of course, about Chicago. 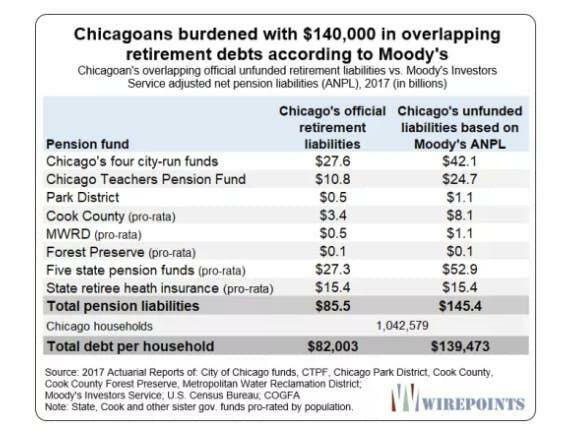 Chicago is also the city that has the country's bleakest retirement future, as each Chicagoan would have to pony up $140,000 to make the city's pension system solvent. If that wasn't enough, Chicago is resorting to outright ponzi schemes to fund itself, proposing the issuance of $10 billion in debt to "fund" the $28 billion shortfall in the pension fund that goes toward the police, firefighters and other municipal employees. So within this fortress of fiscal rectitude, what is Chicago's next plan? Why to literally hand out money. The purpose of the pilot program proposed by the "Chicago Resilient Families Task Force", which is the latest incarnation of the "basic income"/helicopter money utopia that has gripped America's left in recent months, despite glaring examples on the global arena that basic income simply does not work to boost overall living standards, is a noble one - to break the cycle of poverty by giving 1,000 struggling Chicagoans $1,000 a month. Supporters of the program say people could use the extra cash to cover unexpected emergencies, increase their savings and improve their health. According to the 50-page proposal, "guaranteed income can have powerful effects: significant reductions in poverty; ability to cover an unexpected emergency; improved school attendance; an increase in savings; and improvements to health and well-being. These are goals every Chicagoan can get behind." And the punchline: "Determining who will take ownership of the pilot and lead fundraising is a critical next step." This is an issue because as we discussed just a few hours earlier, a recent basic income program in Finland ended up being a bust from an economic standpoint as no new jobs were created, even if it was - predictably - a smashing hedonic success as participants were quite happier, as one would expect when getting money for free. 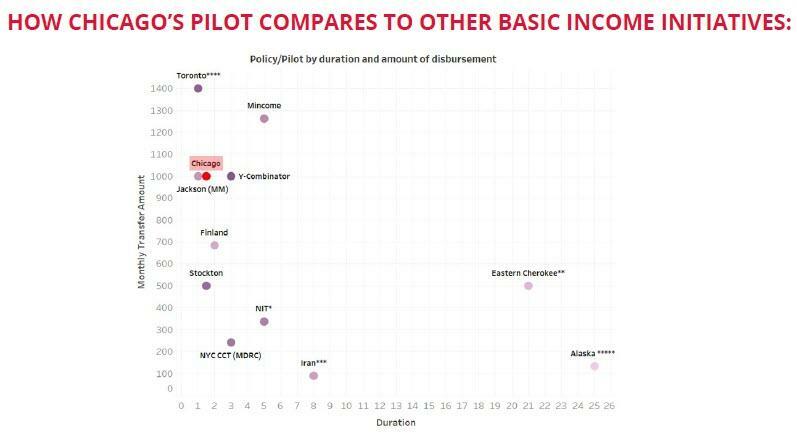 And some even bad news for Chicago, which was quick to point out the Finnish basic income trial as a case study: Finland's social affairs minister, Pirkko Mattila, conceded on Friday that the government has no plans to roll out the scheme across the whole country.